I am a person who works in the emerging field of disability media. Dr Mike Kent is Head of Department and a senior lecturer at the Internet Studies Department at Curtin University. Mike’s research focus is on people with disabilities and their use of, and access to, information technology and the internet. 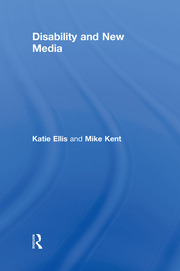 His edited collection, with Katie Ellis, Disability and Social Media: Global Perspectives will be available through Routledge in 2017 and his book, also with Katie Ellis, Disability and New Media was published in 2011. His other area of research interest is in higher education and particularly online education, as well as online social networking platforms. His edited collection with Tama Leaver, An Education in Facebook? Higher Education and the World’s Largest Social Network was released in 2014 through Routledge, and his forthcoming collection with Rebecca Bennett, MOOCs and Higher Education: What went right, what went wrong and where to next? will also be available through Routledge in 2017.